The latest release by D. J. Jouett, is a romantic thriller that will keep the reader on the edge of their seat or their Kindle! When women in her home-town become the victims of a vicious killer, Psychiatrist Lana Reed is pulled into a world of serial killers and cheating wives. When she begins to suspect one of her patients, Dr. Reed finds herself struggling with doctor-patient confidentiality. As women continue to die, Lana must decide between her professional reputation and helping the man she loves solve the heinous crimes. As in real-life police investigations, our heroes and heroines work several cases simultaneously. Cheating Wives Clubs runs the gamut from drugs to pedophiles brought to justice. My brother, a police sergeant, and I are very close. I have spent many hours listening to his stories about his law enforcement work and cases in which he has been involved. 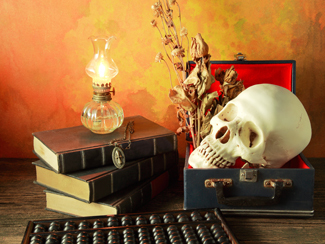 From serial killers to domestic violence, his adventures have always fascinated me. I have drawn heavily on his experiences to write my detective mysteries and continue to pick his brain about police procedures and activity. Many of my scenes are his stories. I enjoy exchanging communications with other authors and my readers. Thank you so much for all the feedback, wonderful words of encouragement and for buying my books. 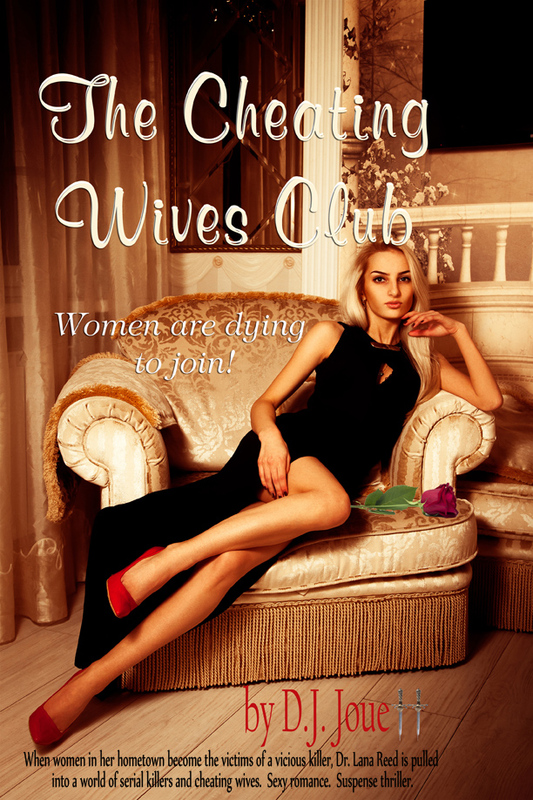 Renny James thought she was falling in love with her boss then she met his wife. Renny was totally unprepared for the beauty and charisma of Vivian Rockmore.The electricity between the two women was undeniable but too many obstacles stood between them. We are each the master of our own destiny, aren’t we? That was the mantra of Renny James as she fought her way out of poverty and rose to the ranks of the rich and glamorous. Clean sheets were Renny's criteria for success. A brilliant student, she knew a college education would get her out of the horrible poverty in which she lived. Nothing would stop her from achieving her goals. Determined to distance herself from the filth and hopelessness that marked her youth, Renny worked hard and wasted no time on things like family or friends. Raised by a mother whose only thought was about where she would find her next boyfriend, Renny learned to fend for herself. She knew education and hard work were her tickets to a better life. Brad and Vivian Rockmore introduced her to the world of beautiful people, cruise ships, and private jets. At twenty-eight, Renny had realized all her goals. She had no idea her ambition would land her in jail for murdering the only person she had ever loved. D.J. Jouett takes the reader on a fast-paced ride in her latest murder mystery/romance with a twist. 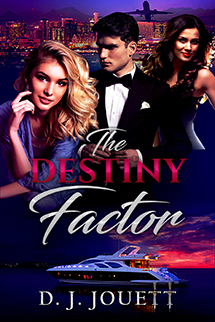 If you like a good suspense-filled novel, you will love The Destiny Factor. Website Copyright 10/2015-2017 If you encounter any problems with this website, please contact our webmaster.